Bluesky Finance is a specialist independent boutique mortgage broker. We provide high quality tailored solutions to non-residents buying or owning properties in France. We can help French expats and international clients with their mortgage, refinance and cash-out requirements. Our commitment is to guide you and search the whole of the market to find the best deal to suit your circumstances. Our advice is free and comes with no obligations…. While Bluesky Finance’s core business is arranging mortgages, we are fully trained and authorized to offer insurance, life and critical illness cover. We see financial protection as an integral part of our service to clients all the more so as French lenders often require that appropriate life protection is in place. We work with specialist insurance companies and we will guide you towards the most appropriate cover to suit your needs. We are extremely well connected and will be happy to refer you to local experts. 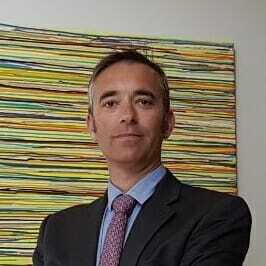 Prior to founding Bluesky Finance, Amaury worked for more than 20 years in the Consumer Finance industry where he held a variety of senior level Management roles. Working for leading banks and insurance companies, Amaury acquired an extensive knowledge of the property and mortgage markets. Born in the Champagne region of France, Amaury was educated in London and in the South of France. Amaury has lived half of his adult life in the UK and the US. He currently resides in France, near Paris with his (half English) family and their (half mad) dog. As a specialist Boutique broker, BlueskyFinance value human relationship and personalized advice. With us, you will not talk to automated voices nor Call centers. We take pride in our staff who are not only well-trained, something absolutely necessary in today’s very complex lending environment, but who also share our values and commitments. At Bluesky Finance, we strongly believe that a company, regardless of its size, should be guided by strong and inalienable principles. The service you receive from us is independent, it will never be aligned to third party interests. Clear product and price information. We will provide you with clear product and fee information and will keep you informed throughout your dealings with us. Great Customer Service and responsiveness. We understand that you have choices and that you time is precious. We listen to your needs and respond quickly to your requests. Our advice will take account of your circumstances. Our interests with our customers are long term. We highly value new customers referred by existing ones. We do not charge for advice. We do not charge for an initial consultation. We do not charge for referring you to a local expert (notary, legal or tax adviser, surveyor or architect). Our administration fee is typically 1%. It is defined contractually at the onset of our relationship. This fee is only payable at the time of completion. If the mortgage does not complete, no fee will be payable.